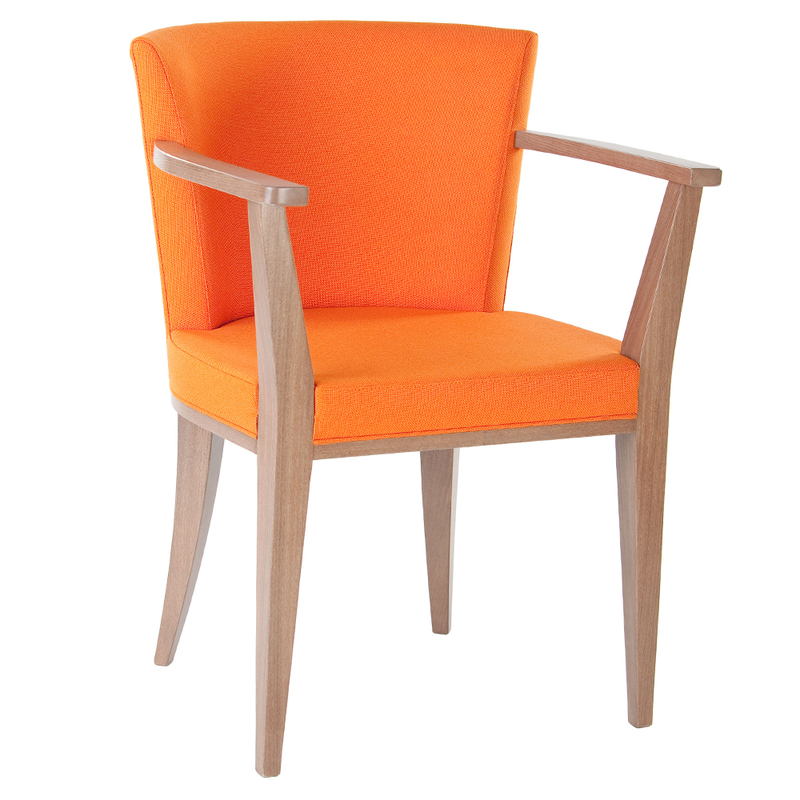 The Adina Arm Chair is crafted from solid beech wood which makes them sturdy and long lasting. They are fully upholstered with a modern design and features a curved backrest . Also available as a side chair which would make it the perfect addition to your dining room. Fabric options available.